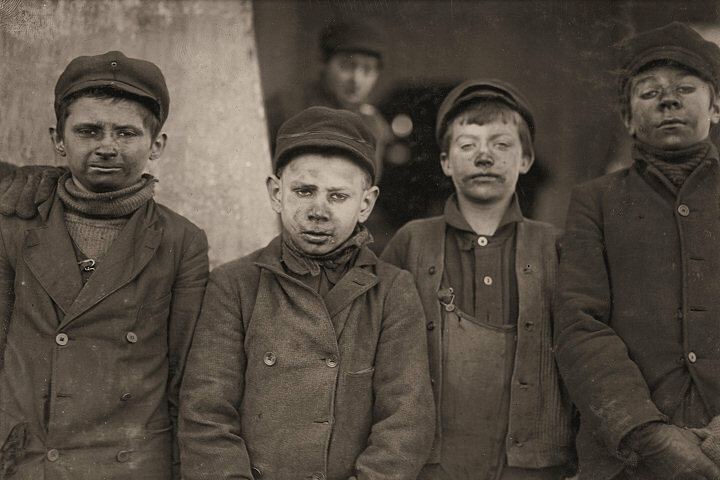 Miners: Breaker boys, Hughestown Borough Pennsylvania Coal Company. One of these is James Leonard, another is Stanley Rasmus. Pittston, Pennsylvania.